Rollers for body tipping above spring. 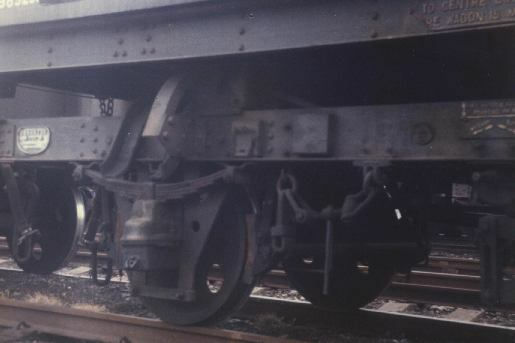 Bent footstep and 'instanter' couplings. Rail clamp hanging from solebar to right of wheel.